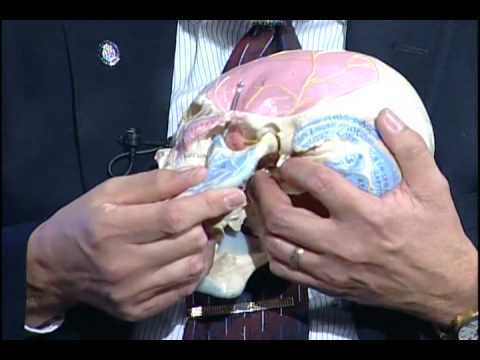 Jaw Movement and Tinnitus (Clicking, Popping, Cracking, and Other Noises) --- TMJ? Somatic Tinnitus? Discussion in 'Support' started by Jade, Jul 29, 2013. Just wondering if any of you experience your jaw popping in and out or clicking? I have had it on and off for quite some time ad now its been there full on the last 48hrs...of course I googled it and its called TMJ and it can be associated with T does anyone else have this? A dedicated thread for the subject of Somatic Tinnitus is here. A dedicated thread for the subject of TMJ and Tinnitus is here. My jaw clicks and pops and has for years, but I have been evaluated and told I do not have TMJ. Yes, it is reported that T and TMJ can be related and many people reportedly have both. If you do have TMJ, the TMJ treatments generally do nothing to get rid of the T in most people I have known to have it. Personally, I think many people go searching for reasons for their T and generally come up with similar answers such as TMJ, ETD etc. and seek treatment for these conditions. I've had this for many years Jade. My jaw clicks and in the past people have actually heard it when I eat. Often, the right hand side of my jaw feels as though it will 'pop out'. I was told that I do have mild TMJ and the consultant could feel that my jaw was slightly misaligned. I have no idea whether there is a connection with my T.
Jade - I seen this doctor for my TMJ, as I was searching for answers for my tinnitus like you. He talks about tinnitus from TMD. I have seen him recently and he said to me again that my left TMJ disorder can be one cause of tinnitus. I do not have any pain in my left TMJ, but have some crepitus. I was prescribed a elastic mandular advancer to wear at night. It is supposed to pull your lower jaw forward. He is worth watching, but nothing is guaranteed of course, as to your cause of T. Part 1 of 3 on youtube. I have been having full blown panic attacks over this new constant clicking in my jaw along with my T.. of course I googled it (idiot) as its all doom and gloom... so further into panic mode SO I'm completely exhausted, how long have you had this and how are you going with your treatment? TMJ as erik says is a red herring I believe, £12,000 and 2 years later still Tinnitus. Do not get sucked in!!!!!!!!!!! Thank you for your input.... 4 days and the clicking/ popping every time I open my mouth is still going strong, no pain though just anxiety, So @dan is your dad still going strong? Like it doesn't effect him badly? @click glad I'm not alone have you had any troubles with yours apart from it being annoying? Hope not. Mine's been there for years Jade... and nothing bad has happened yet (I'm very, very old) so please try not to worry. I think if your having panic attacks you should try diazepam to calm yourself down. I take 5mg, but it may be based on body mass as 2mg are also available. Only use under doctor's supervision. There are many other benzos, but that is the one I currently take. Usually it takes about a 1/2 hour for diazepam to calm yourself down. Maybe you already have a prescription for some sedative. Regarding the TMJ disorder, I am still unsure if there is a connection with tinnitus. Dr. Hakala comes across as a very honest and decent person and if he says its possible, it probably is. The oral appliance also helps keep your airway open and helps if you snore or have sleep apnea. CPAP is the best option for sleep apnea though. I have used the oral appliance on & off for months to years (sometimes I take a sleeping pill and fall asleep before putting it on). Like others have said it may not help you at all, or possibly it will. I had met my deductible so it did not cost me to see Dr. Hakala, have the radiographic exam and get the oral appliance. To be honest with you, a relative suggested TMJ problems and recommended Dr. Hakala even though I had no symptoms. I guess I was desperate like you may be, with your loud noise. I had a great day yesterday with virtually no tinnitus. I had used the appliance the night before. I am trying to find something that works consistently for me day after day, but that is hard. I am also trying some Chiro adjustments as mentioned in a previous post and then on to RF Neuro Ablation of neck nerves. Just read you drive the huge earthmoving trucks, & I drive tractors, combines ,trucks etc., so we both may have noise exposure that can raise havoc with your auditory system, but you must stay positive and do what you can to manage the noise..... find out the source and determine if it is just inner ear damage. If it is inner ear damage from noise exposure, then hearing aids may be the best option, as that is what I may try. I realize its a hard thing to live with noise in your head Jade, but I will pass on what I know and wish you the best. @Jade - You would probably look even better than you do with earmuffs on for your avatar lol. Just kidding of course , but no I didn't have much clicking and no pain in my TMJ area. I can make my left jaw joint click if I move it sideways. That is the side Dr. Hakala said I have crepitus, which he showed me on the scan. erik & carlover could be right as to TMJ disorder being a red herring. The close proximity of a your TMJ to your ear would make it seem possible though. I just can't figure out why I can't duplicate a good day like 7-29, when I seemed normal again. I have a appt. to see a audiologist Monday on possible hearing aids. I have tried many med combinations for T and need to finally try hearing aids as I have mild to moderate high frequency hearing loss, according to the audiologist that looked at my audiogram from 2011 the other day. I will need to bring my latest audiogram from early June for them to look over. Oh my - I have a clicking jaw and never thought anything about it ! It is the opposite side to my T which has so far only effected on my left side - so based on that I would think its just another annoying thing to get used too ! I so agree with @Yellow Ledbetter about Dr google !! Is it normal when a person starts to yawn or opens their mouth wide to hear a quick sharp sort of loud click/pop/crack sound in their ear(s)?? I used to hear a cracking sound in my tinnitus ear for several years. It has just recently stopped making that sound, and I have no idea why. And, it wasn't the jaw; it was actually in my ear that I heard that sound. I've heard of other people with tinnitus who have experienced this same thing, and I don't think it's anything to worry about. It's also possible that you have TMJ. Have you checked with a dentist or doctor, to see if you might have a jaw problem? This is normal. I had this before T too. I don't think it have anything to do with tinnitus. My ears pops/click all the time. When I'm eating, yawn and equalizing. I thinks its just pressure that is changing. I called the dentist association in my country today trying to require some info on TMJ, I received a jaw surgeons name and the hospital he worked at. I called him up to ask about being referred to him for TMJ assessment. I got the impression that T and TMJ was very rare, but who knows, perhaps they just don't look for it that much. How many people do actually have that condition? I've never seen any numbers. There could very well be more than anyone knows. I apologize but I must disagree with Meeruf on this I'm afraid. I never had any cracking popping or clicking sounds in my ears before I got Tinnitus. Other people I know have had the same experience with this. Nothing before Tinnitus but afterwards all sorts of strange noises and sensations when either swallowing, yawning or opening their mouth wide. In my opinion I wouldn't characterize it as normal and as others have said you might have TMJ. I have read that some people who have this report the clicking, popping and cracking sensations disappearing once the problem has been fixed. I don't know what the success rate is though. Yes, I agree with Molan. Clicking, popping, or crackling sounds are not normal. You may have Eustachian tube dysfunction (ETD), which is treated with nasal steroids. Or it could be TMJ. The latter is more common with the clicking you describe. TMJ can be treated, and I would see a dentist who specializes in it. If left untreated, it is possible the sound could cause a permanent tinnitus in your head. I do know someone whose tinnitus started with TMJ, and it progressed to a brain based noise. Good luck and get evaluated. Everything will work out fine! I've experienced this probably since birth, I don't remember a time when I didn't. Can't remember that I had this before T, but I have it now. Glue ear can last for like 2 years... I don't have a problem with this anymore, except yes, the clicking sounds are there when I swollow and yawn but it doesn't bother me. Ok, Its seems like everyday this T is making this Harder for me. Just when i finally try to accept it and just decided to go on, i seem to notice MORE SYMPTOMS that might be connected to my T.
Just this Dinner time while eating i noticed an annoying sound on my left ear. Cracking noises is quite common, I have it too in different variations and I've had it long before my T. Stress can often be the instigator as it tenses up the jaw region, so it's normally connected to the jaw structure and not the ear but since they are so closely connected it can feel like an ear issue. If it gets worse and/or if you really suspect it is the inner or middle ear and not the jaw, then a dentists could probably do a further investigation, or even a jaw surgeon could take a look if necessary. Sometimes when I get cracking noises I take my fingers and press and roll towards the cheek and jaw area, like a massage motion, just to see if it hurts. Normally it's a little painful when I'm stressed out. I believe it is referred to as a psychosomatic stress syndrome when it's not proven to be anything else. I too have this cracking sounds as long as I can remember. I think it is not T related (in my case), it is just common thing for most people. I've also had that cracking noise at various times, and it can be unnerving and upsetting. For some reason, I used to notice my crackling noise in the tinnitus ear whenever I took a shower. Very strange! Now, however, I hardly ever experience the noise. It may be that, over time, yours will dissipate or maybe even go away. That stuffy (fullness) in the ears feeling is common, too, especially in the early stages of tinnitus. I've found that the stuffy feeling has now gone away, too. It's hard to imagine right now, but a lot of the worst tinnitus symptoms seem to dissipate with time. I wish you well! We understand what you're going through right now. Do Jaw and Neck Movements Affect Your Tinnitus? Is Jaw/Neck Movement Affected Tinnitus ALWAYS Somatosensory?